Rumi has influenced thousands of people across the centuries with his vision of our relationship with God as a path of love. Today, he is considered one of the most popular poets in the world. The Illustrated Rumi is an embodiment of the Sufi idea that life is a gift. 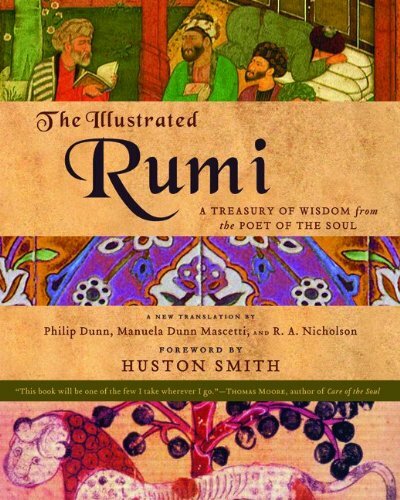 A beautiful and lavishly designed book that is filled with art from the 14th century to modern times and striking new translations of Rumi's longer works and poetry, The Illustrated Rumi is authentic, engaging, accessible and exquisite.